As the previews in 2015 revealed, Doosan Industrial Vehicle hasreleased the latest additions to their already huge 7-Series product range; the giant 18-Tonne & 25-Tonne capacity diesel trucks. These trucks are both rated at 1200mm load centre, becoming Doosan’s largest ever capacity forklifts in production at their impressive manufacturing plant in South Korea. 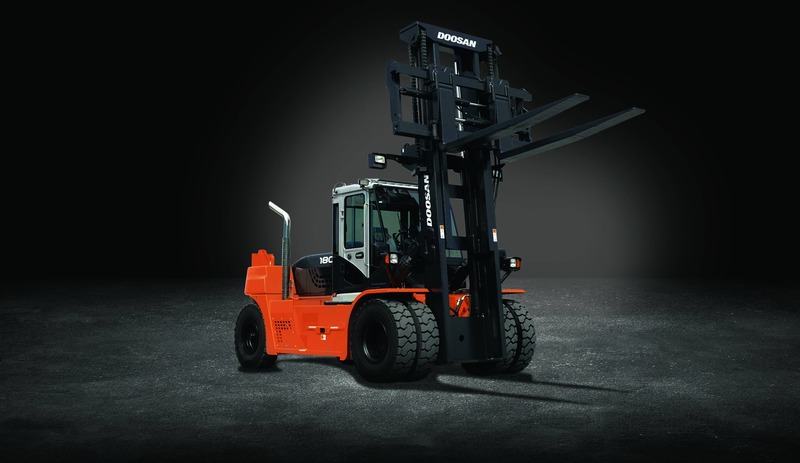 2016 sees the start to a new exciting year for Doosan – with even more additions to the 7-Series range planned for Q2. Doosan are delighted to announce the launch of this brand new High Capacity Category in the Diesel truck range, fitted with the latest Doosan’s own Euro Stage-4 DL08P Engine – the ‘DV180S-7’ and ‘DV250S-7’. The Doosan 7.6-litre 6-cylinder Diesel engines offer high power output and maximum torque, maintaining the highest level of performance for the most challenging conditions and situations. In addition, they have been designed with the environment in mind, ensuring vastly reduced emission levels are achieved without the need for a costly, outdated and maintenance intensive Diesel Particulate Filter (DPF). One of the key features of the DV180S-7 & DV250S-7 trucks is the emissions reduction system adopted by these products. 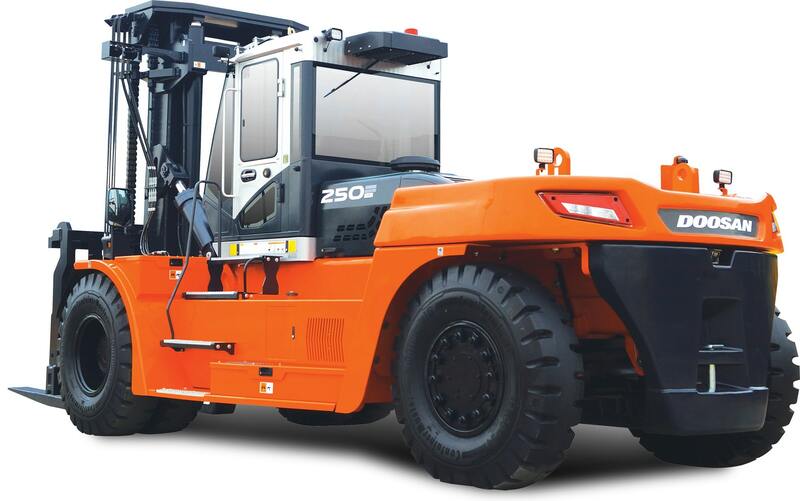 By using Diesel Oxidation Catalyst (DOC) exhaust treatment technology along with an Exhaust Gas Recirculation (EGR) system, these 7-Series forklifts reduce emissions by 90% compared with current models available. These emission reductions are achieved through the use of control technologies similar to those required by the 2007-2010 standards for highway engines. These new additions to the 7-Series range will benefit every customer due to their productivity, low maintenance costs, safety, serviceability and superb ergonomics with the latest Zeus operator cabin. Doosan will be exhibiting these latest models at the IMHX exhibition at the NEC in Birmingham later this year, so put the dates in your diary to ensure you visit the Doosan stand between 13th and 16th September. 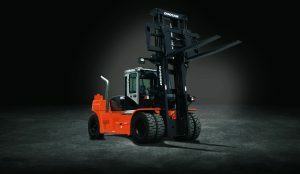 For more information, please go to www.doosanforklifts.co.uk/heavy/ or contact the sales office on 01604 825600.